By choosing a Catholic school, a family is choosing to invest in a child&apos;s future. A Catholic school education is a financial investment, and our graduates and their families would attest that it is well worth it! Below are the tuition and fees for the 2019-2020 school year. Please visit our Tuition Assistance page for more information on the many options to make Catholic education affordable for families who want to be a part of our school community. 1 See full list of scheduling and pricing options here. Parents of students in our Preschool and Pre-kindergarten programs have the no-cost option of dropping off their children at 8:00 when they drop off their older siblings. 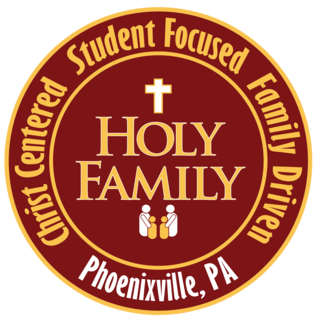 *The parishes of Saint Ann, Saint Basil the Great, Saint Mary of the Assumption, and Saint Joseph are member parishes of Holy Family School. In-parish status is determined annually by each pastor. Each parish subsidizes a portion of the tuition and a parent&apos;s weekly contribution is required to defray this cost. Tuition that is paid in installments is handled by SMART Tuition. Tuition payments are due the First of each month beginning July 1. Families who register after June 30 should contact the Business Office for instructions. Smart Tuition manages the tuition payment program for our school and follows the policies established by Holy Family. Please note that tuition amounts, tuition aid, scholarships and all other tuition related decisions are made by HFS. We look forward to working with your family in providing convenient options for on-time payments. The SMART Tuition parent help center is available to assist you with questions about your account, 24 hours per day at 1-888-868-8828.